Skylark Blog: Divorce or Long-Term Separation: A Comparison. Divorce or Long-Term Separation: A Comparison. According to a recent New York Times article, more couples are staying married in long-term separations instead of getting divorced. There can be some advantages to staying married, even if separated. 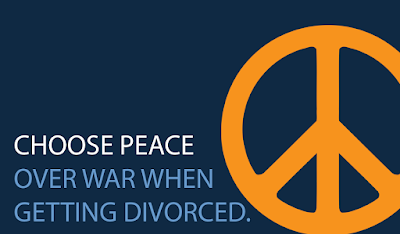 For some, their religious or family obligations make divorce impractical. For others, financial considerations can warrant staying married. If a couple continues to share finances, it can often be beneficial (at least for one of the parties) to stay married. But there are risks as well. In Massachusetts, there is no such thing as a legal separation. This means that if you remain married, even if separated, then there are certain obligations and liabilities that continue. Although there is an action that allows for support in a separation (called a Complaint for Separate Support, Custody and Visitation), this action deals only with the issue of support, custody and visitation for parties living apart. A Separate Support action does not separate assets or debts, and does not address the ongoing obligations, such as joint liabilities. Depending on the reasons that two people are staying together, long-term separation may make sense, but if your marriage is in reality broken down, you should at least consult with an attorney to know what effect long-term separation could have on your legal rights and obligations. As a simple example, property division and spousal support obligations can be significantly different based solely on the length of the marriage. If you are separated but remain married for a long period of time you could therefore end up with a completely different resolution if divorce was truly inevitable. Can I start dating during my divorce? When can I (or will I) get re-married?